Nexus User Experience Sony Xperia Z to round out the lineup? Following the official announcement of the Nexus User Experience Samsung Galaxy S4 and HTC One it was only a matter of time till another Android flagship was going to hit the rumor mill as far as Nexus Experience. 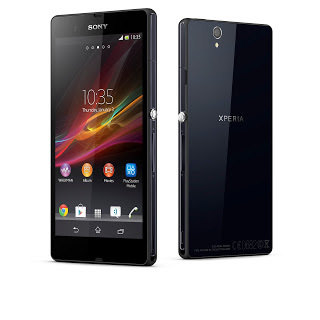 The Sony Xperia Z is the next phone in line to be slated as a Nexus User Experience phone. This rumor is backed by Android Central who's sources has confirmed the rumor. This partnership does make a lot of sense as Sony has been the most active AOSP contributor and had side projects to get AOSP on their flagship devices. While there isn't any word on availability other than "later this year". Here's a reminder of specs: 1.5GHz Quad Core Snapdragon S4 Pro Processors, 2GB of RAM, Adreno 320 GPUs, 13MP Exmor RS cameras, 5-inch 1080p display. To get an idea of how we felt about the twin Xperia ZL check our our review.